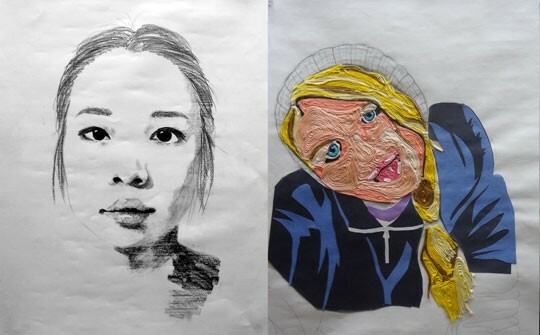 Create 3 self-portrait drawings that use simulated, invented, and actual textures. Create 3 focal points within each drawing. Think about variety and how you use variety in each drawing. Fill the entire 18x24 page. Use charcoal or a pencil and a sheet of “nice” paper.